Bob started his career as a Chartered Accountant but soon realised his real interest lay in people rather than figures. 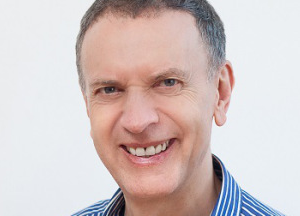 He trained in coaching through the Inner Game work of Tim Gallwey but has since expanded to include Gestalt, psychodrama and accelerated learning. He has written a book on the GROW coaching model and is fascinated by how people learn or fail to. He believes coaching should be available to everyone who needs it at the right time and price they can afford and he developed CoachMaster™ software to exponentially increase the availability of quality coaching in the world. Apart from coaching in business he has worked in the areas of smoking cessation and weight loss. In the creative field he works with actors and musicians on dealing with blocks and inner criticism. He is possibly the only person in the world to have given workshops to the Royal Shakespeare Company and Coca Cola.